Online only - while stocks last - not available with other offers. Is Your Vehicle Looking Like This? Boss Air Suspension For Australian Vehicles. 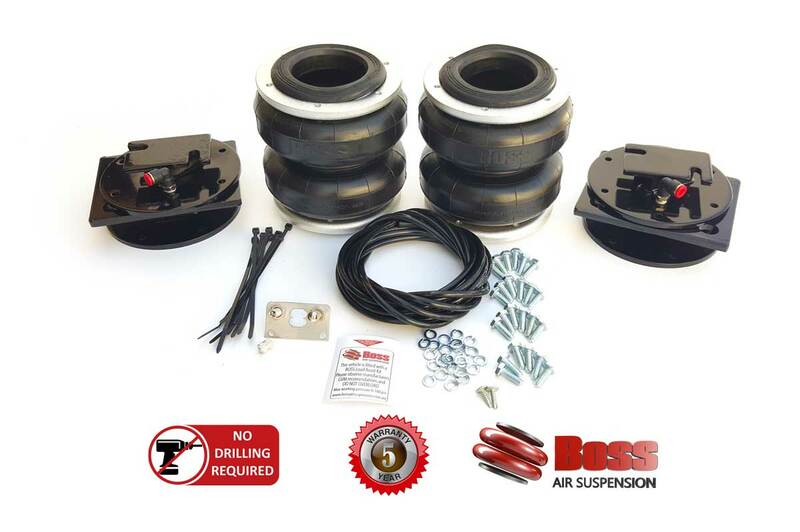 Boss Air Suspension's On Board Air Kits are a great accessory for any vehicle, whether you need to inflate your tyres after going off road or you need to fill your load assist bags to level your vehicle. 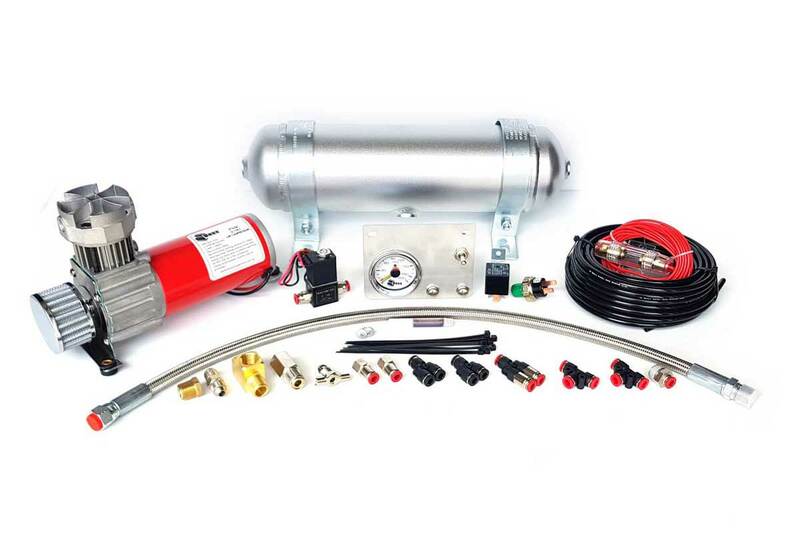 BOSS Air Suspensions 12 and 24V Air Compressors are the industry leader. 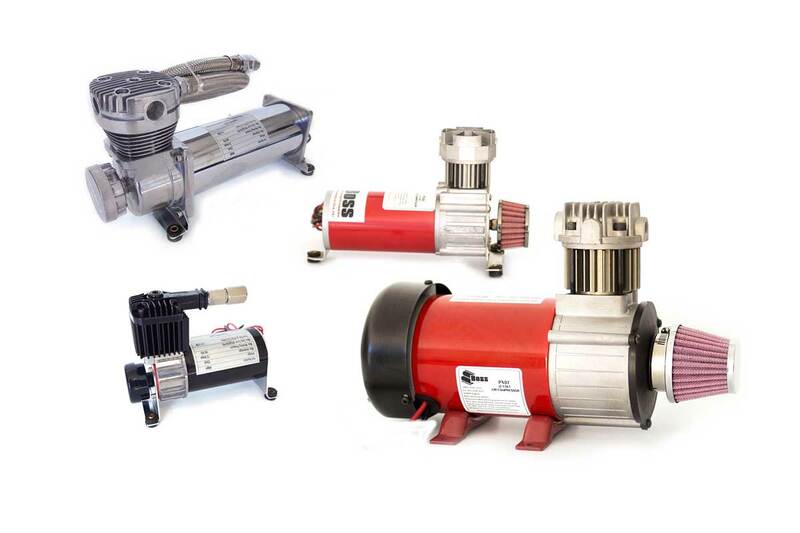 They use the latest technology to deliver compressors that perform tirelessly for many years of service. Perfect for when you already have a compressor and just need to add a tank and accessories. They are available in many different sizes. BOSS load assist kits are easy to fit and most simply bolt on using basic hand tools. 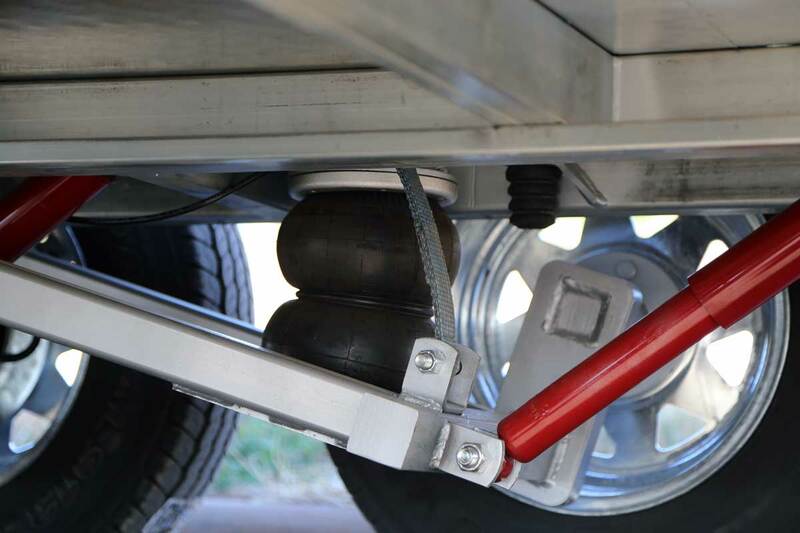 When filled with air, raise the rear end ( when under load) to make the vehicle level again making the vehicle safer when loaded by keeping the front wheels in contact with the road, eliminating sway and improving cornering ( wet or dry). Full "On Board Air " control kits can be added to all load assist kits as well. Leading the way in Air Suspension Technology. Why choose BOSS Air Bags? Leading the way in bag sealing technology utilising forged rings and stamped top-plate assemblies to ensure long life. Removing the possibility of leaking airbags often found on steel-crimp style airbags. One bag in every 100 is pressure tested to destruction within a controlled chamber. BOSS bags are tested to pressures exceeding 750psi by independent testing agencies. Which ensures BOSS has some of the safest, if not THE safest airbags on the market today. 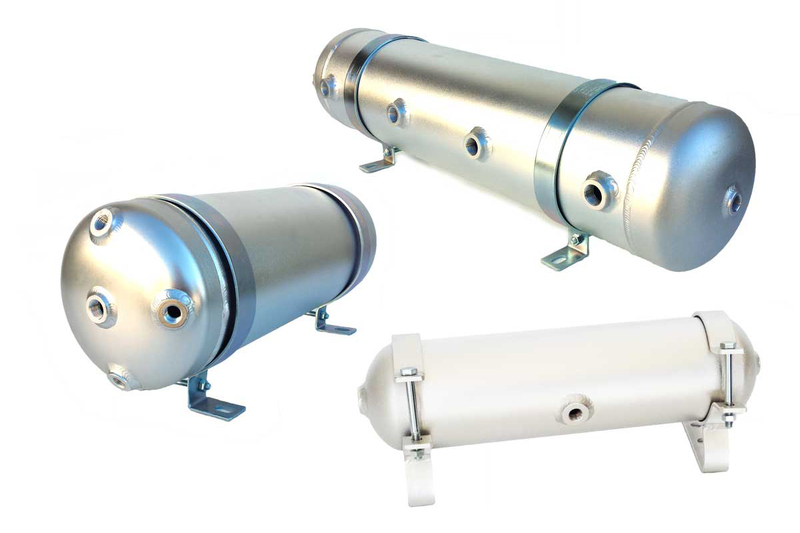 BOSS air-bags are manufactured using the most technically advanced machinery. They are tested far beyond any possible real use scenario. In 2005 BOSS commissioned its own premises for air bag manufacturing. Over the years we've been able to make adjustments in out processes to produce a truly unique air bag. Both in performance and durability. BOSS Shocks have female threads at each end allowing the customer to install any fittings needed at each end to suit the application. 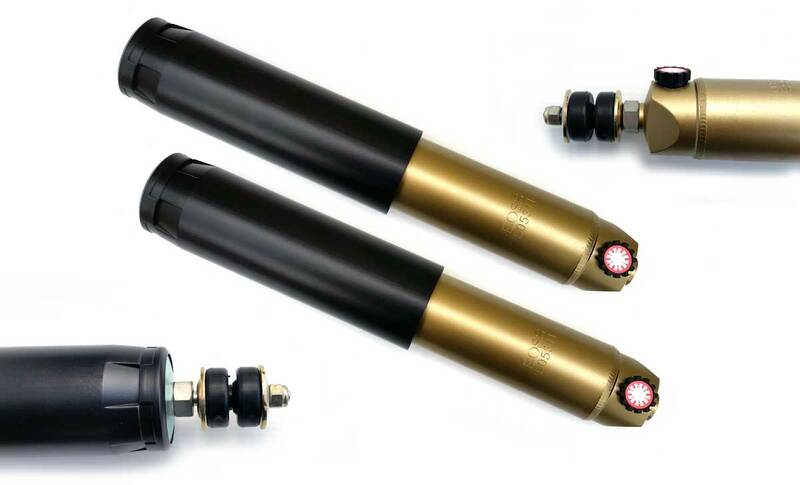 Once fitted the shock can be adjusted to suit the vehicle and weight via the 12 position adjustment. This is my 5th set of Boss Air Bags on my companies vehicles. They all have been easy to fit and worked for the life of the ute. The ones just purchased are for the new Colorado. That replaced an older Rodeo that has 350K on the clock and the air bags are still good! I was very impressed with the quality of the air tank. Perfect for the motorhome to control the onboard compressor. To anybody thinking of buying a load assist kit – buy it! The kit itself is amazing, and on top of that, works a treat! I would like to extend a special thank you for your excellent service, help and fantastic product. Thank you for such a great product! A must have! I have been looking long and hard for a decent compressor, and supplier. I have found both. Great product and great service , what more can you ask for.